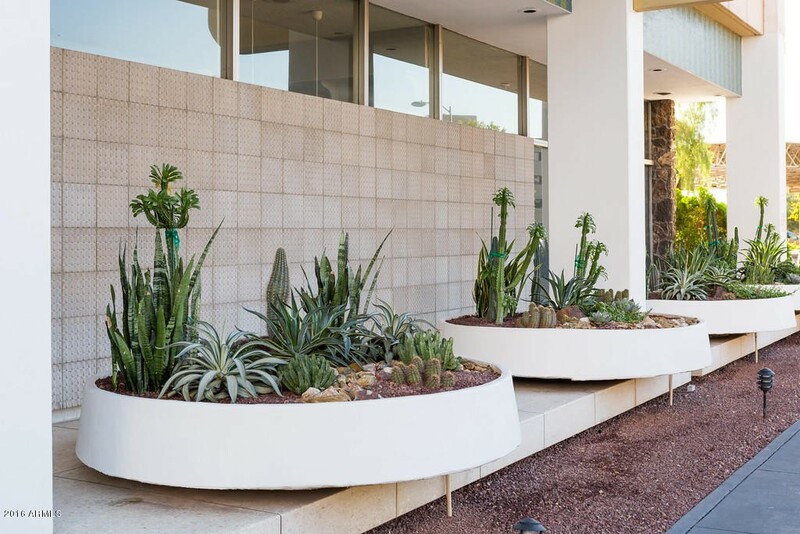 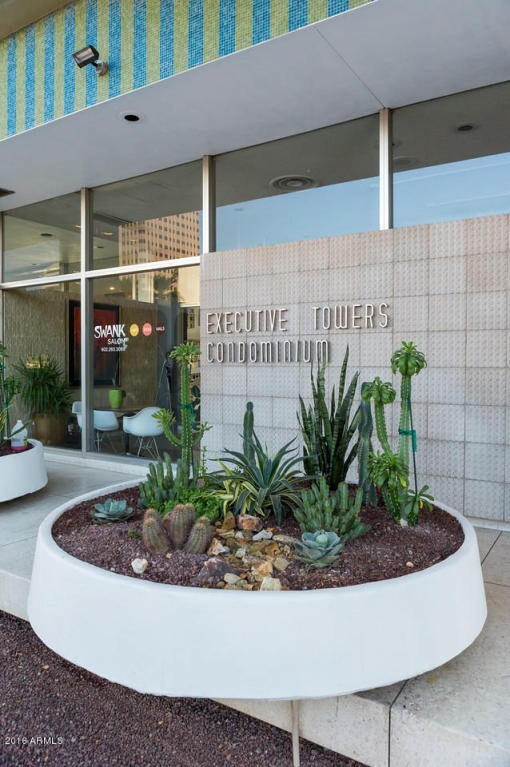 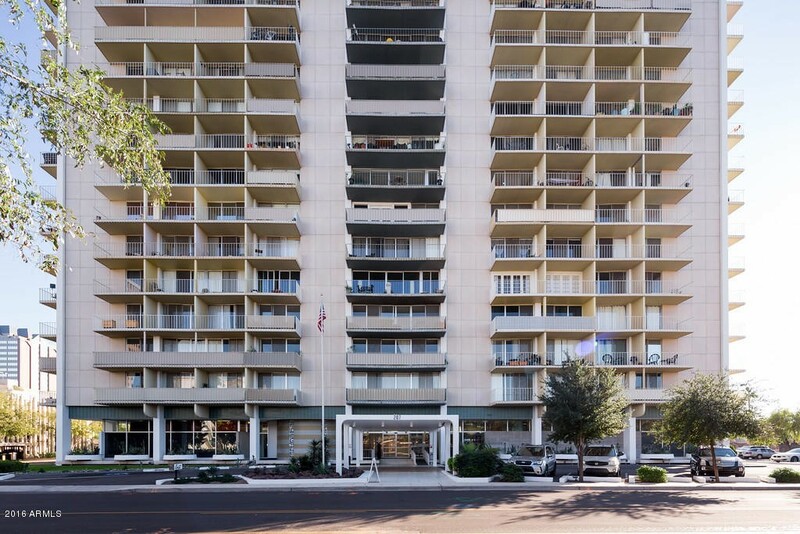 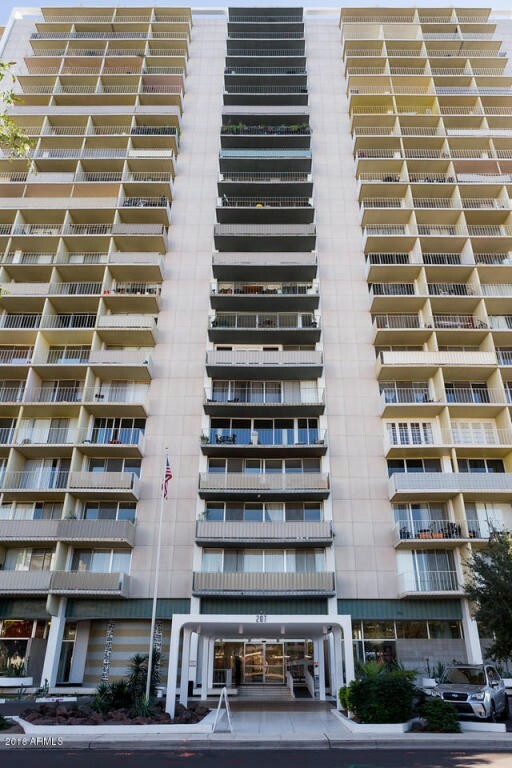 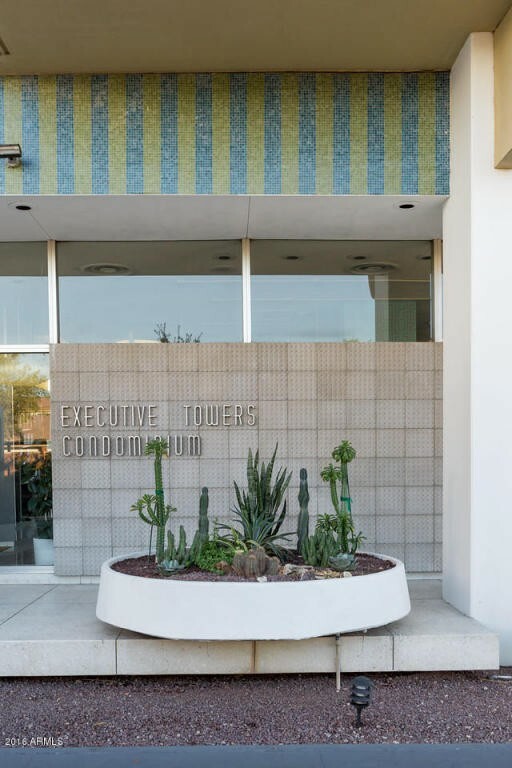 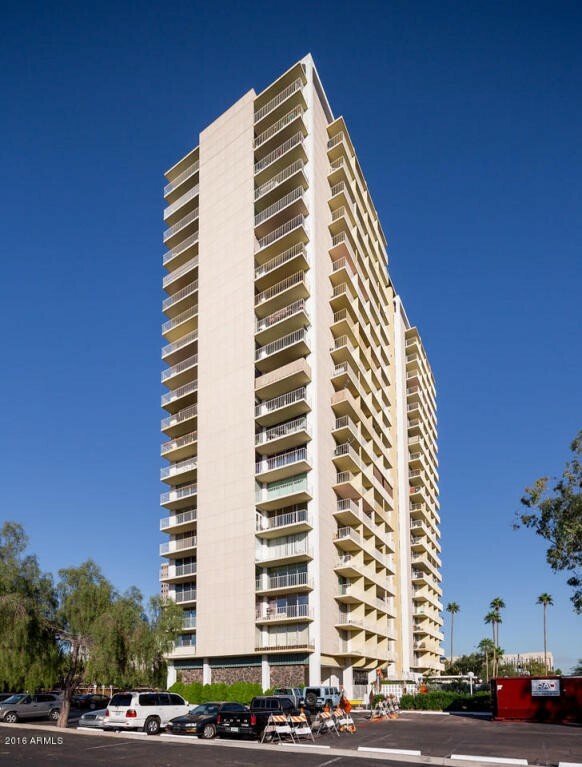 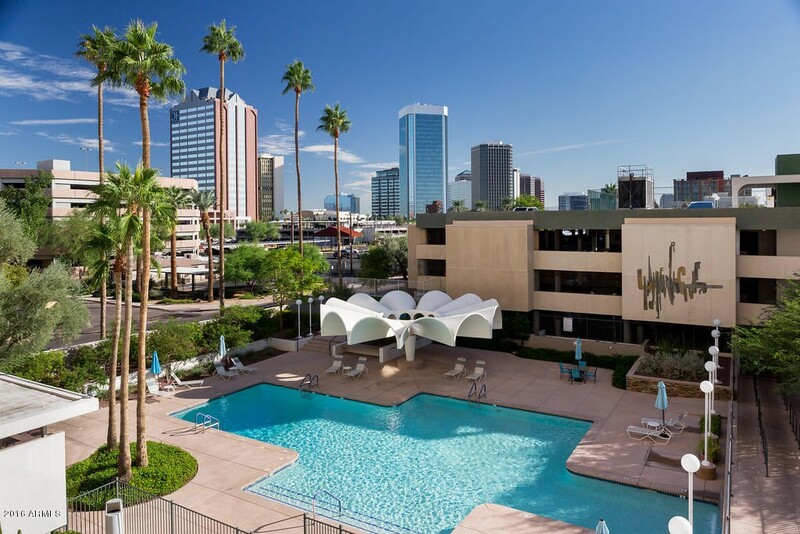 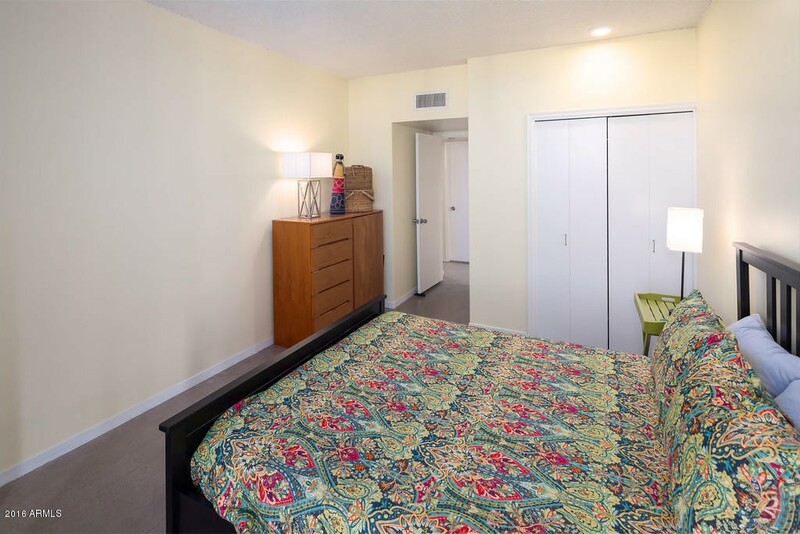 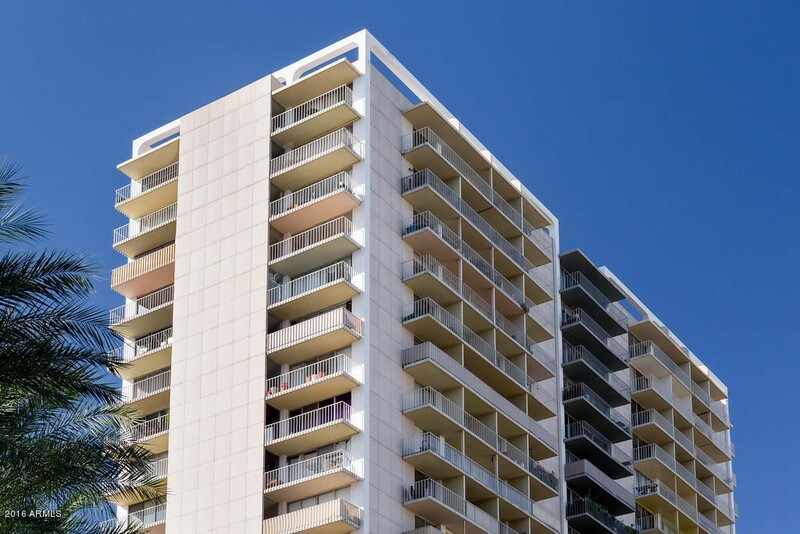 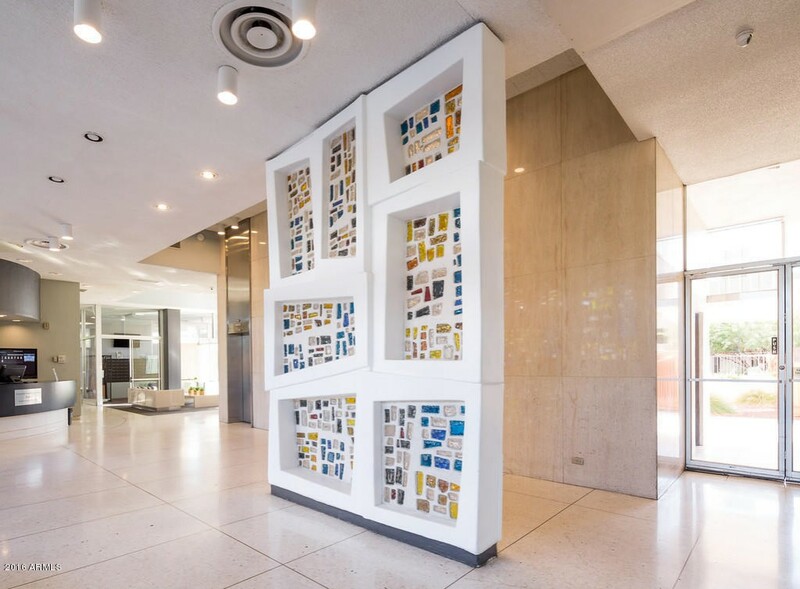 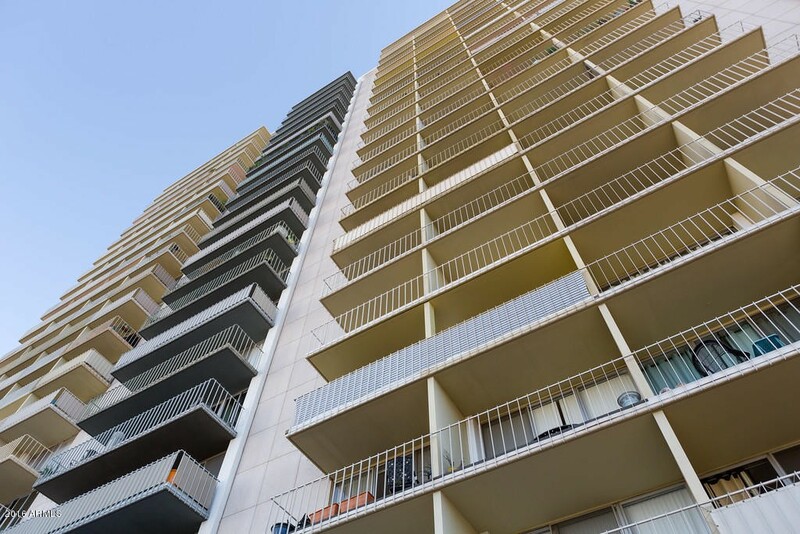 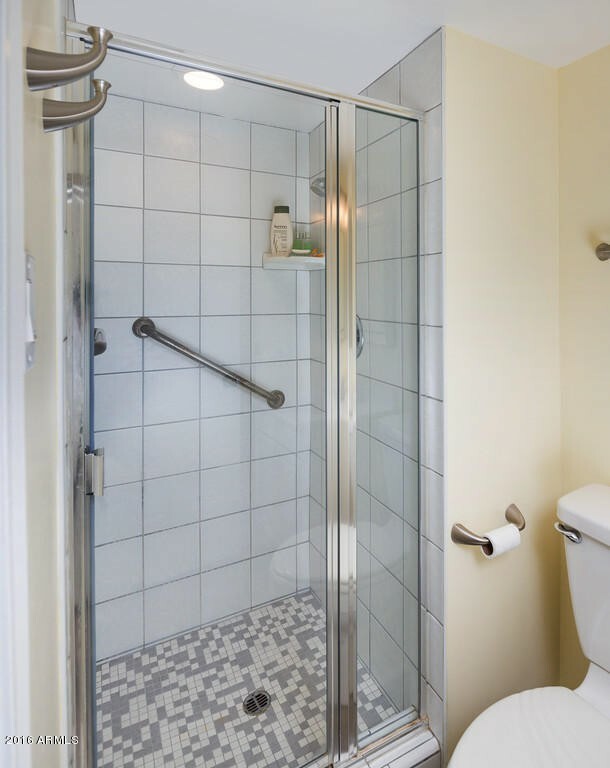 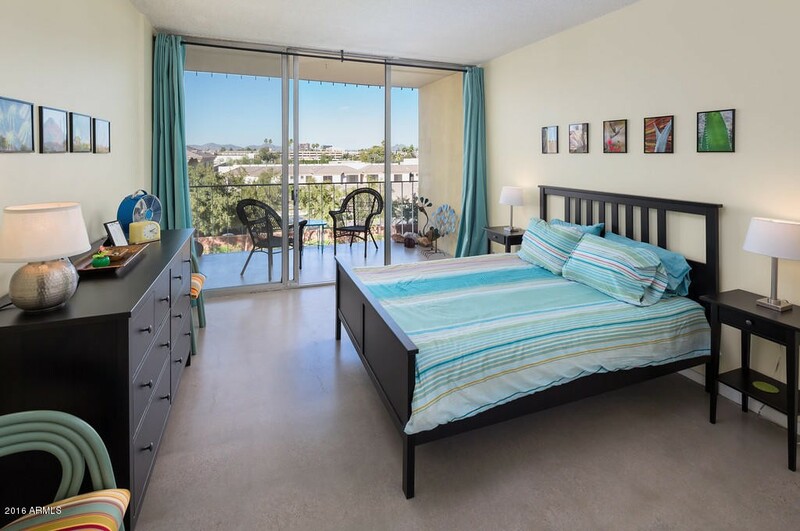 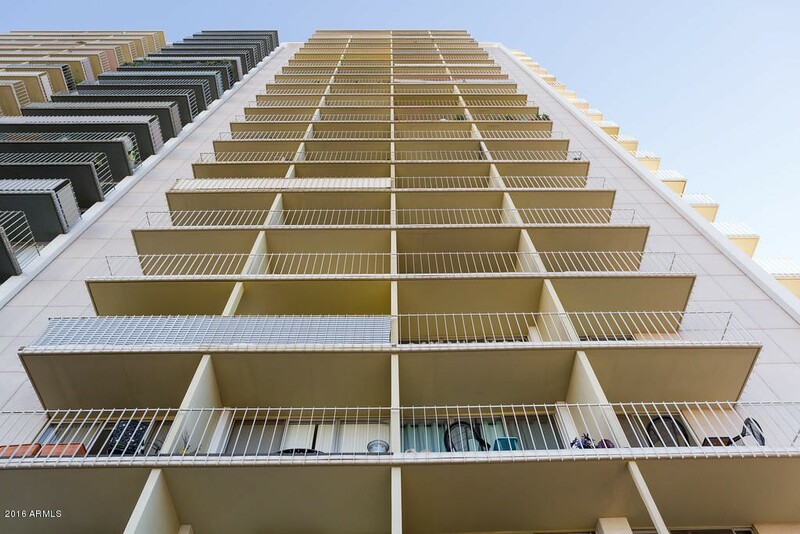 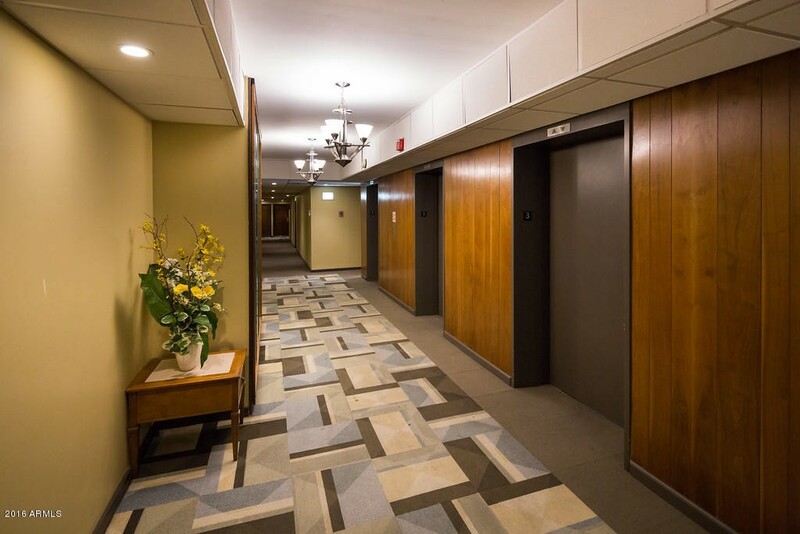 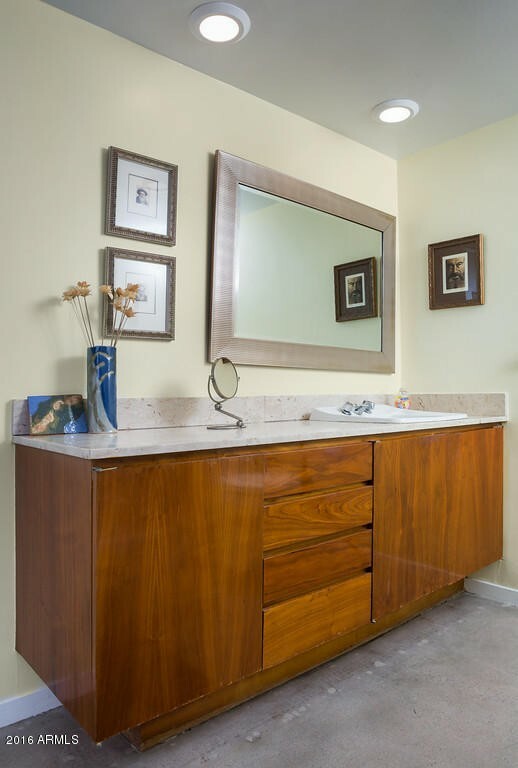 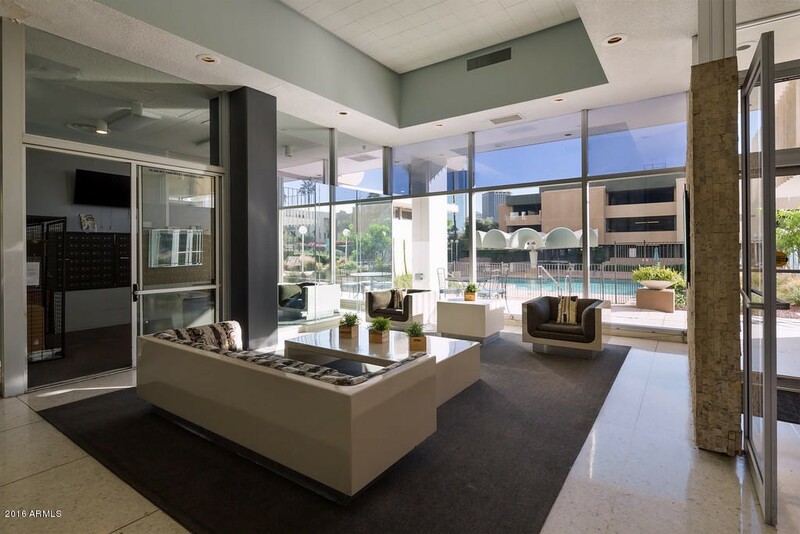 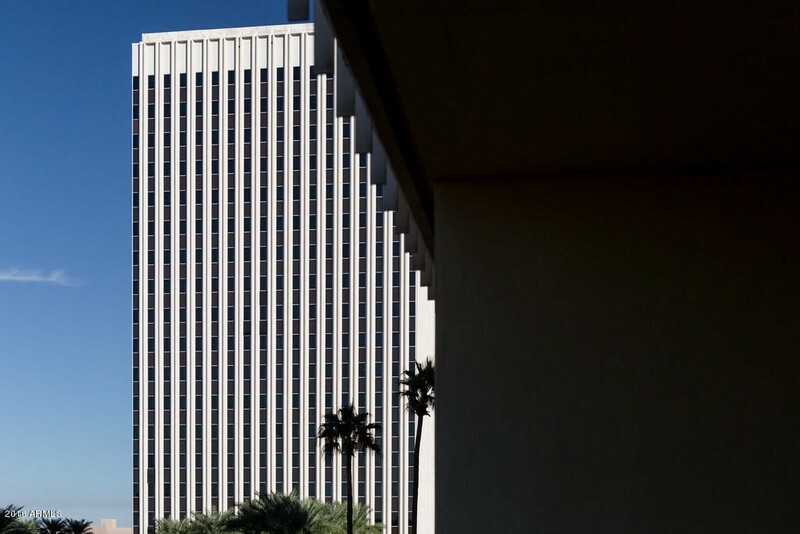 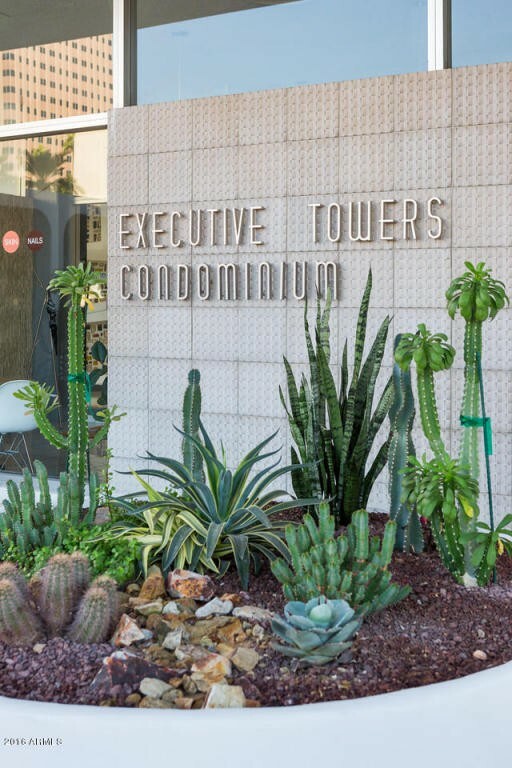 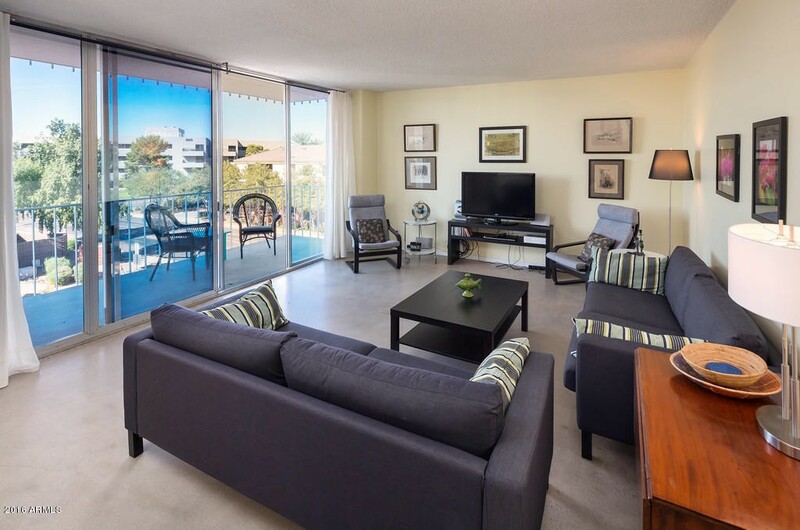 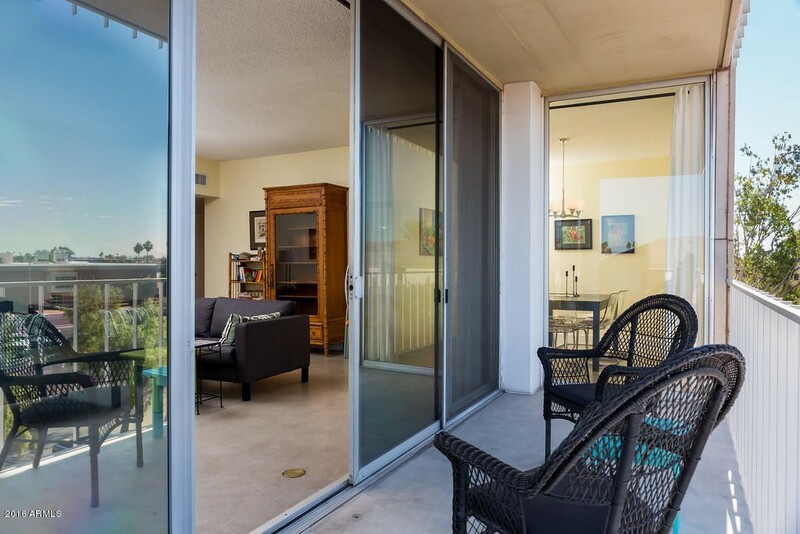 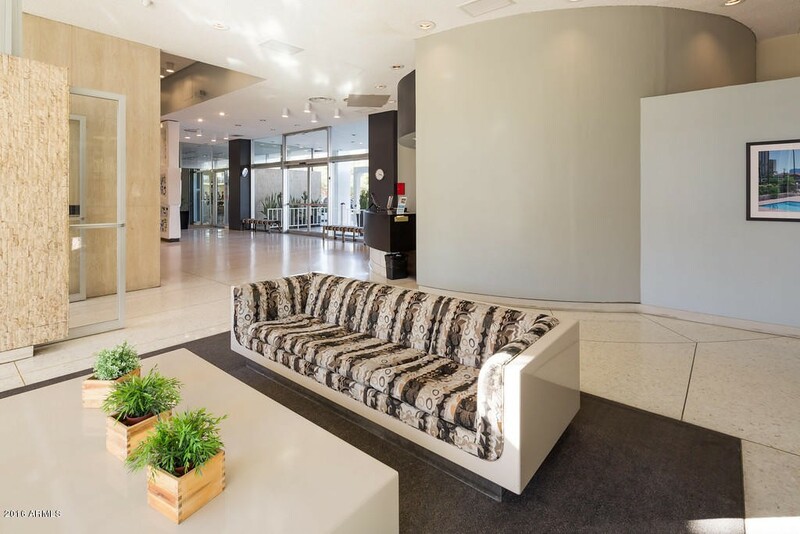 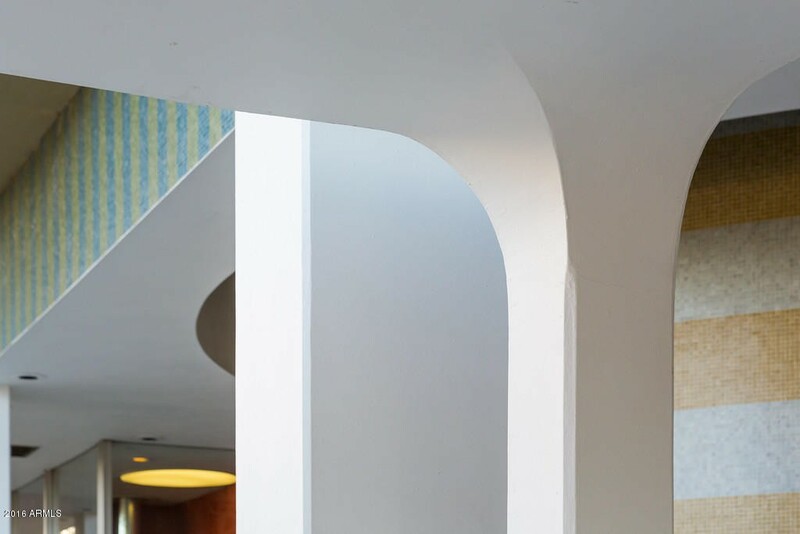 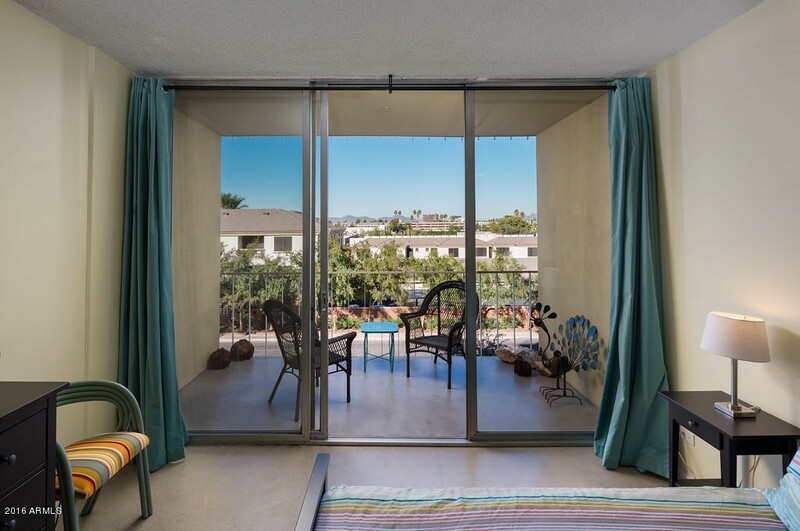 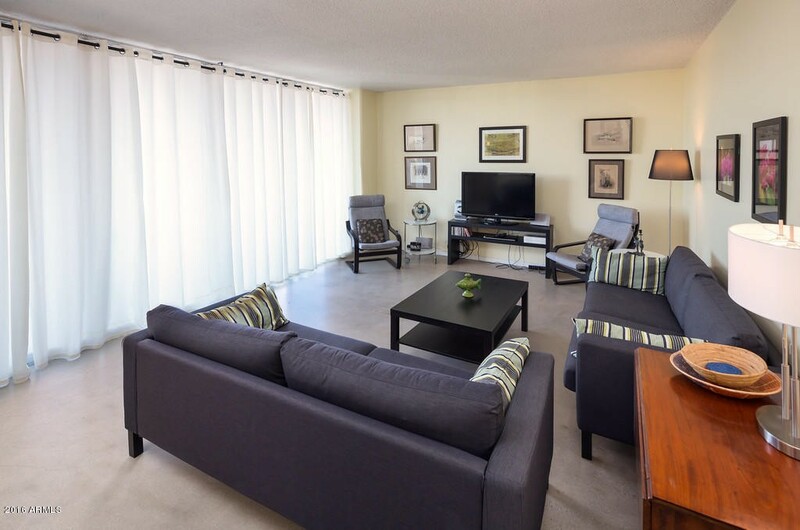 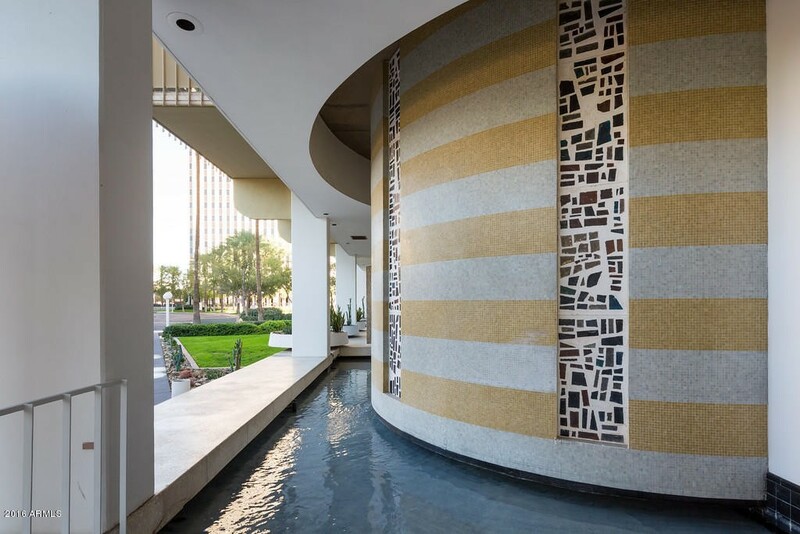 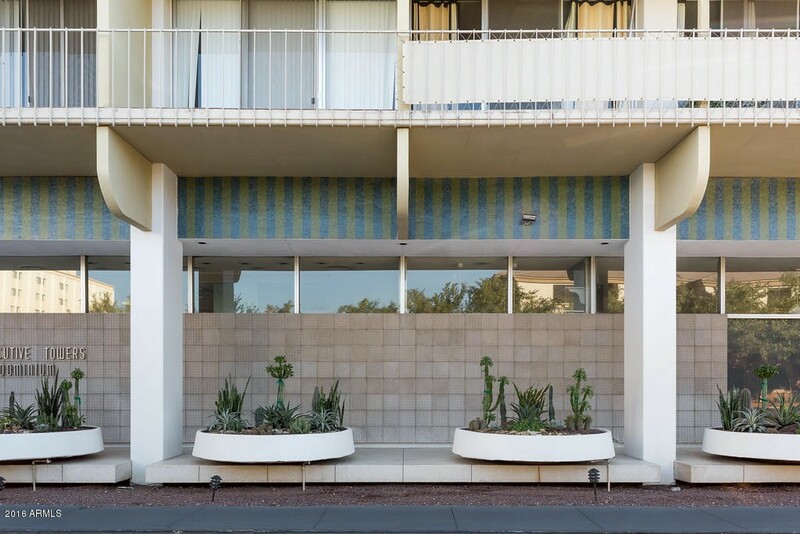 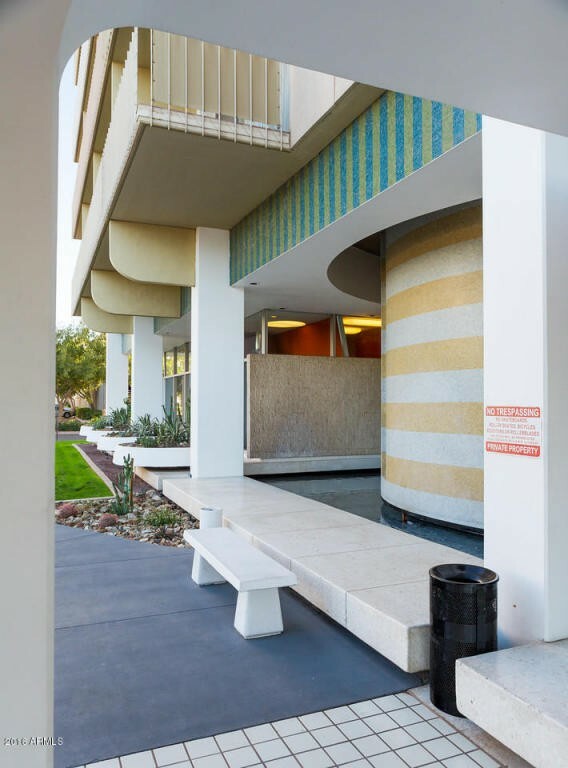 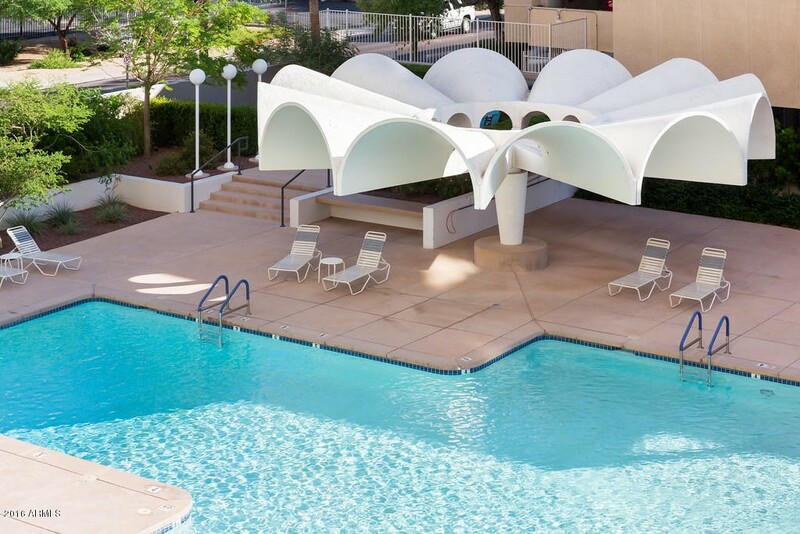 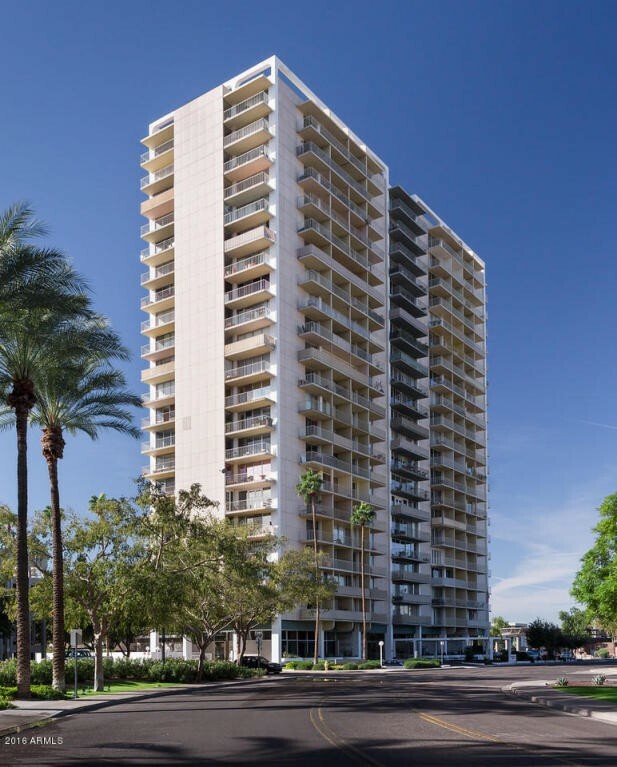 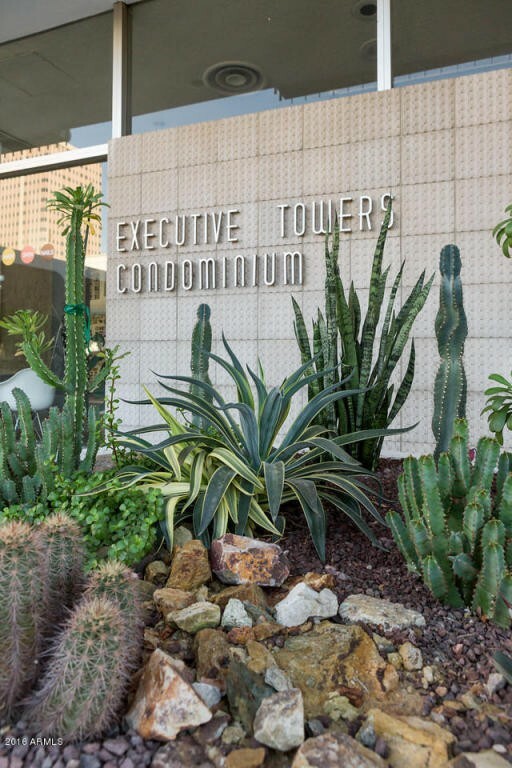 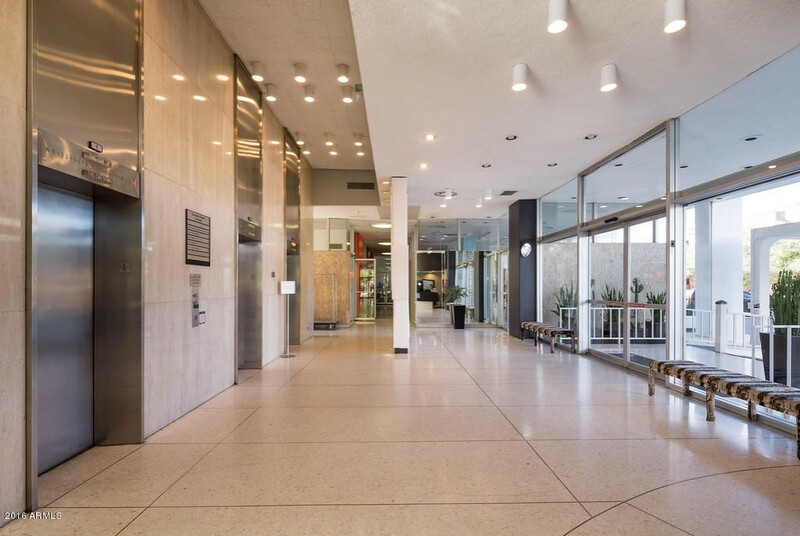 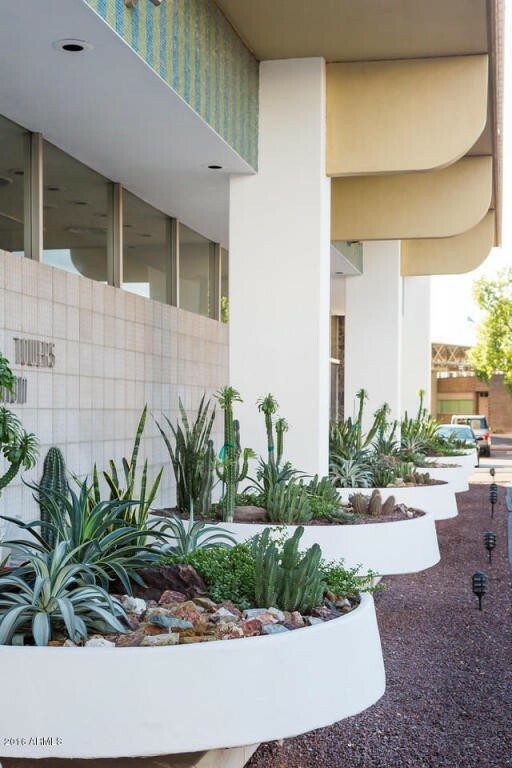 Registered Historic Executive Towers offers you a Mid-Century Lifestyle as Designed by Architect, Al Beadle. 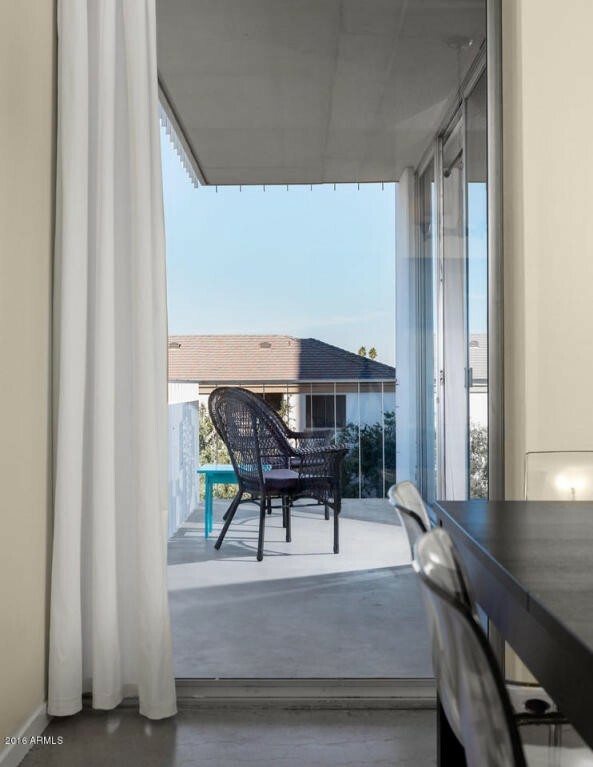 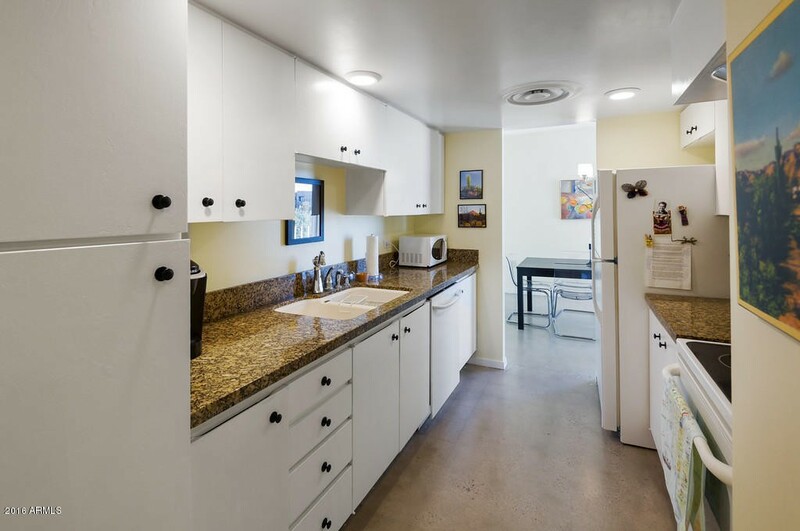 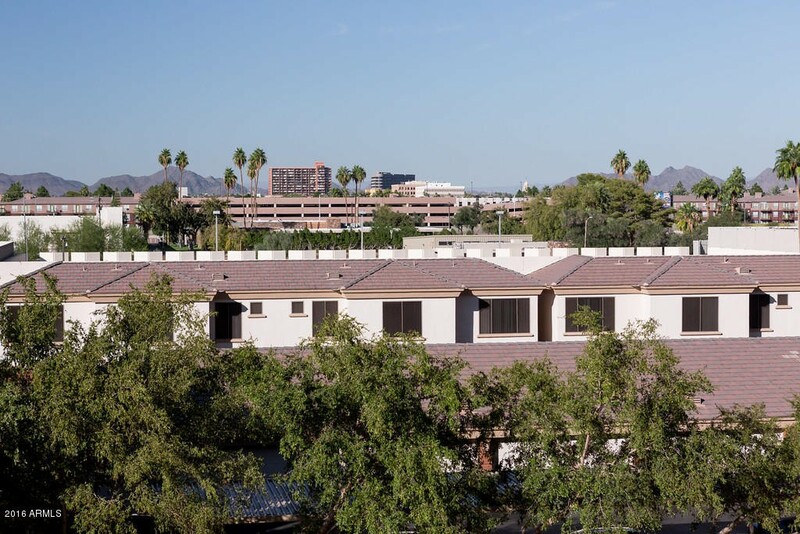 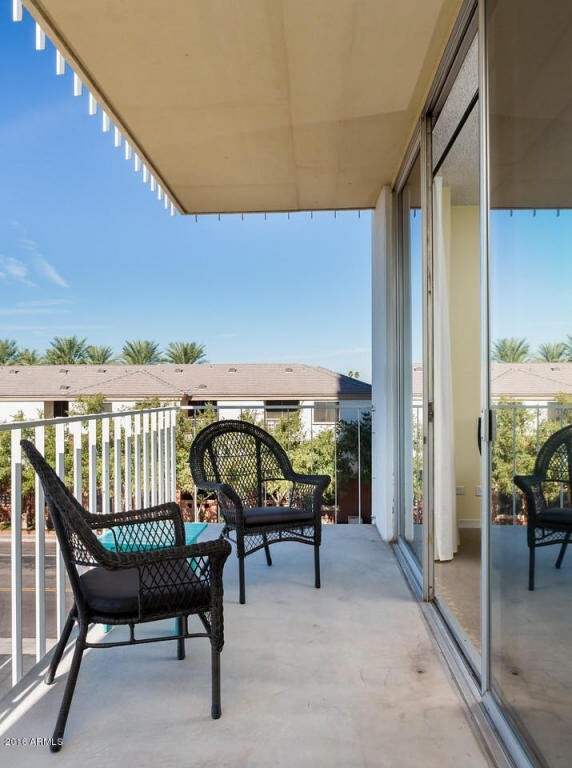 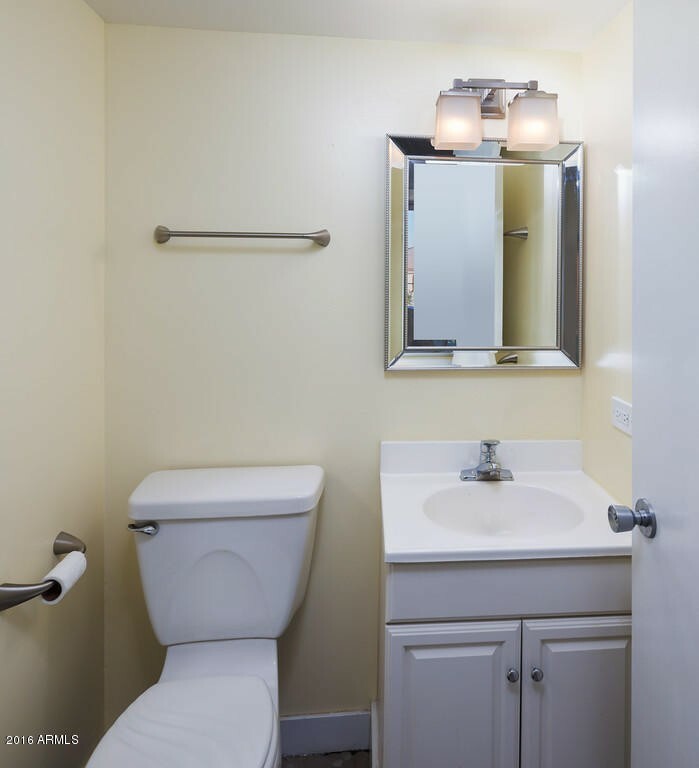 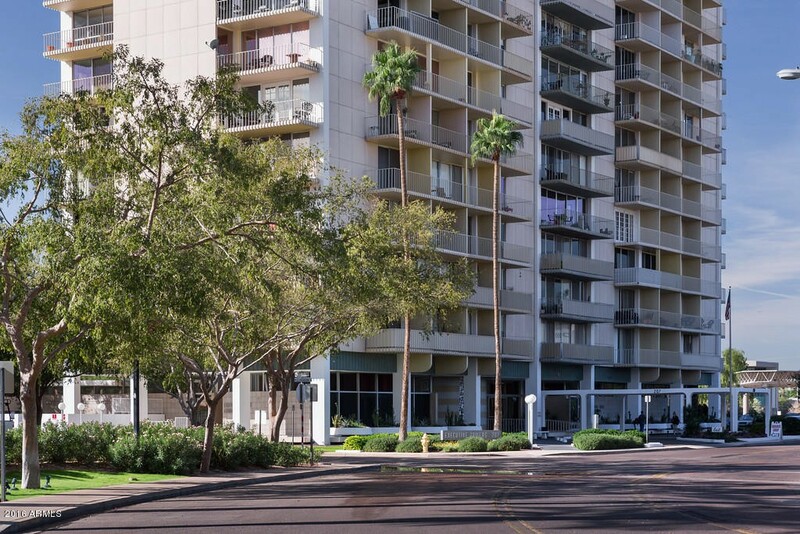 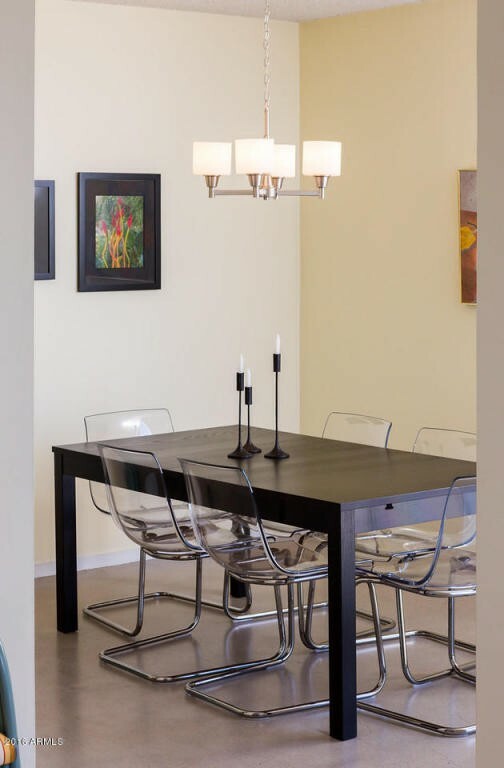 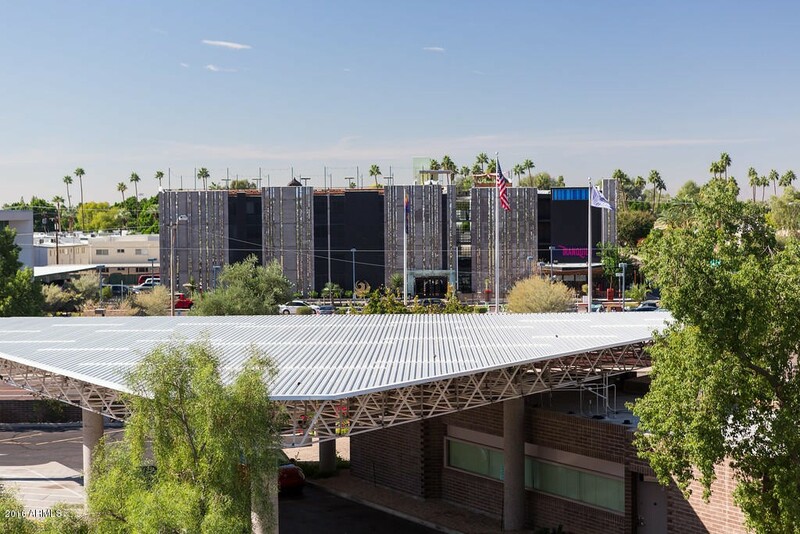 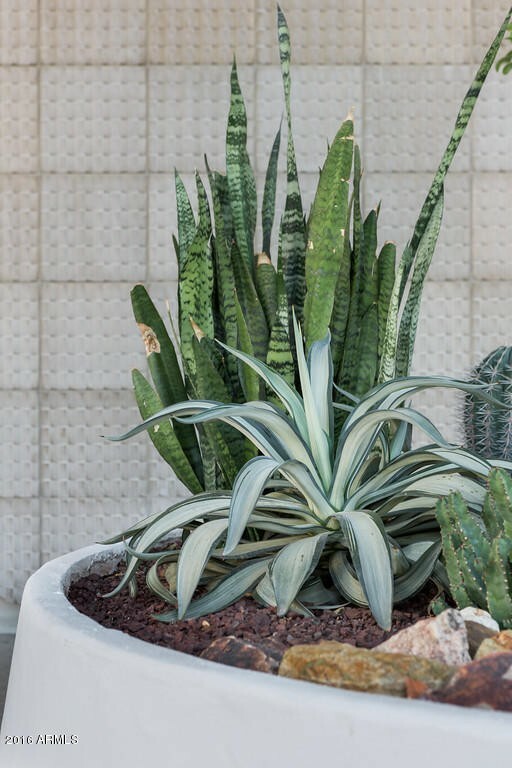 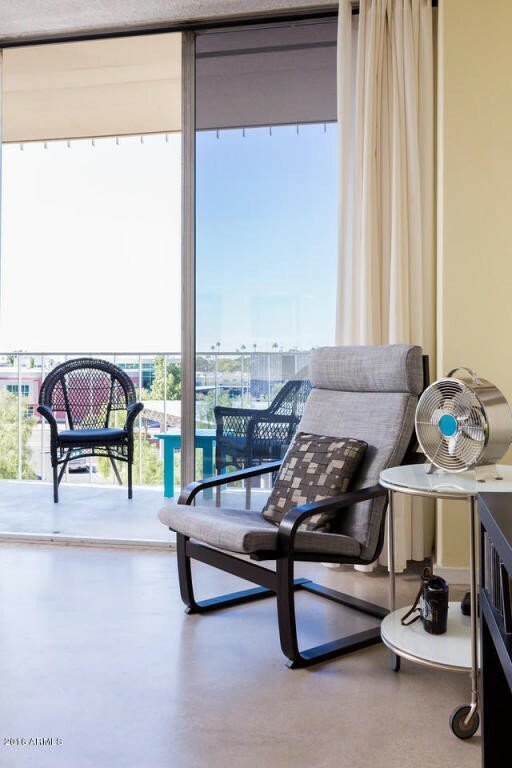 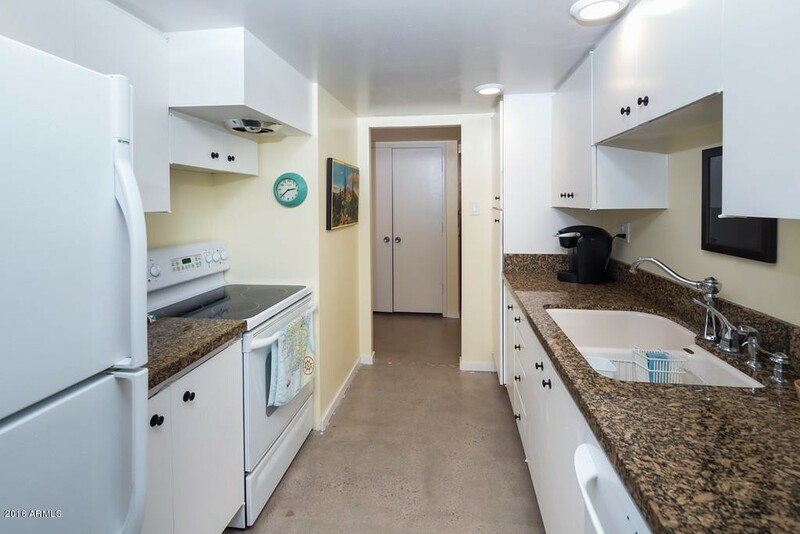 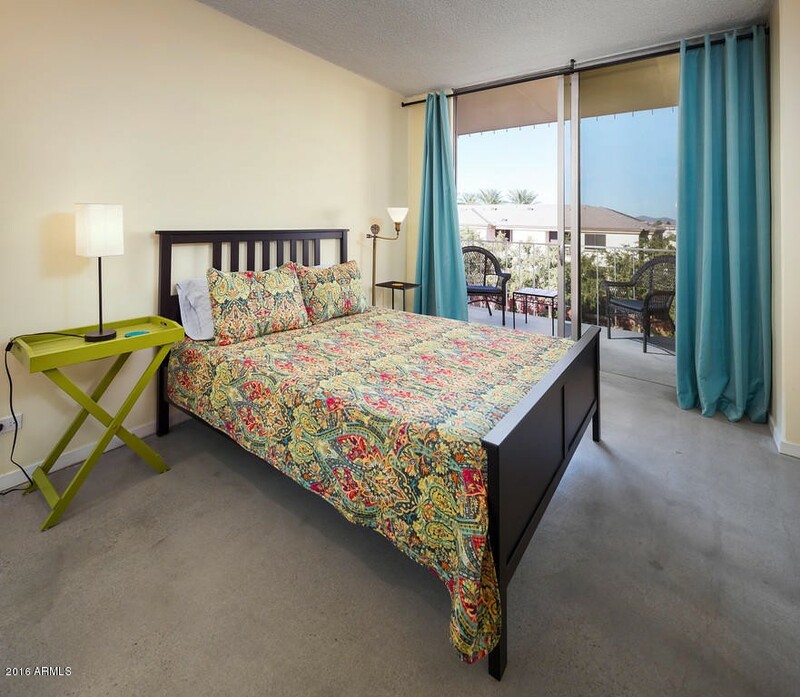 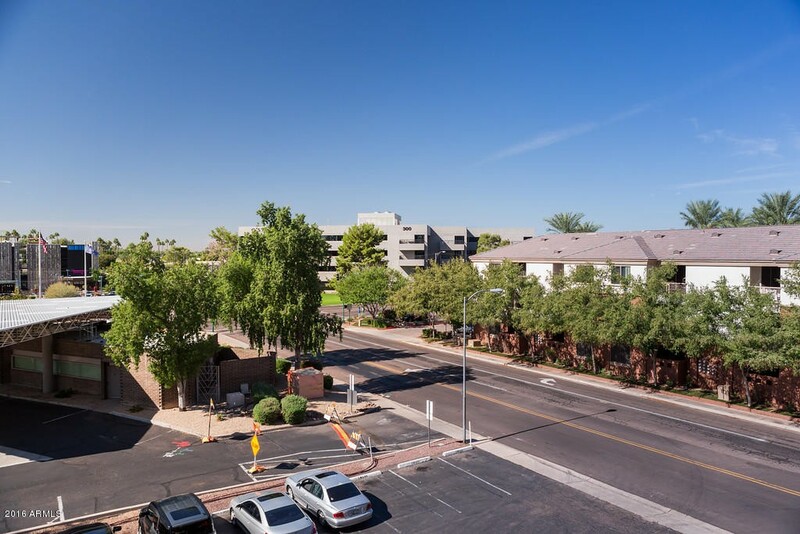 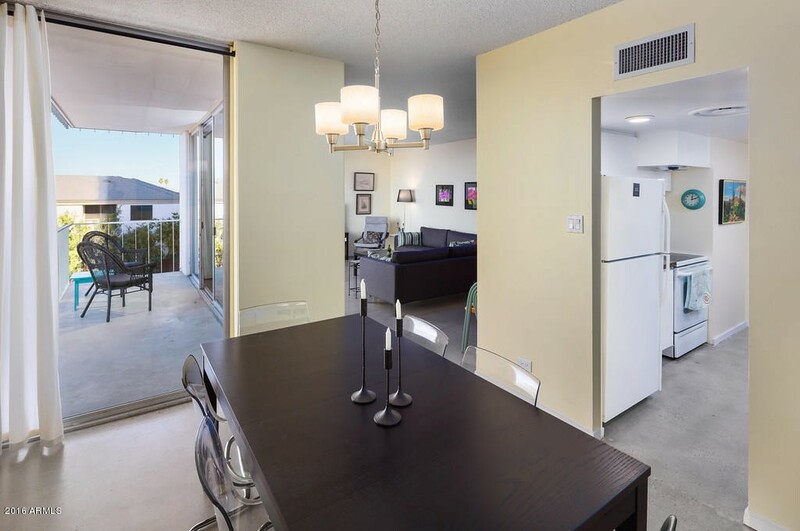 This Third Floor Two Bedroom, Two Bathroom Condo, with Polished Concrete Floors, is in the heart of Central Phoenix and is just two streets away from the Light Rail. 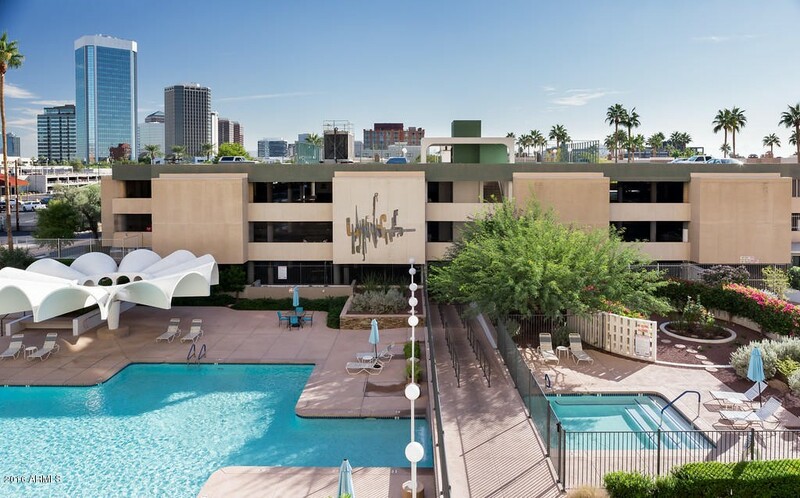 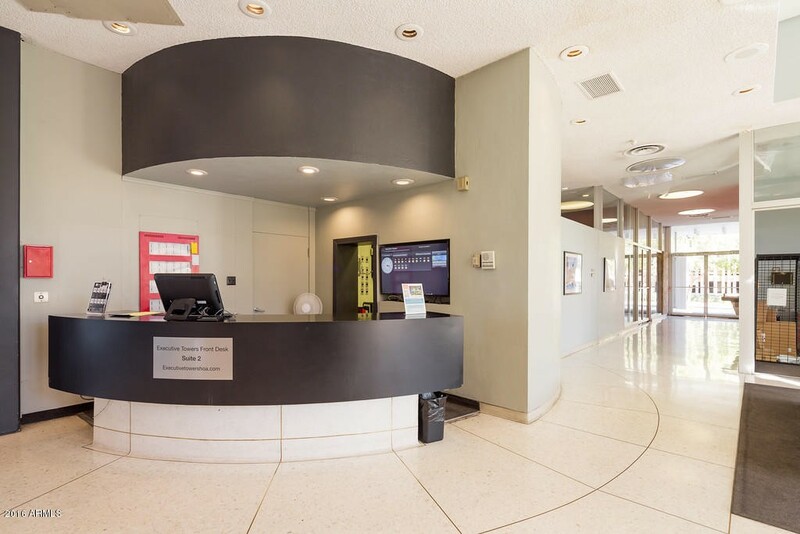 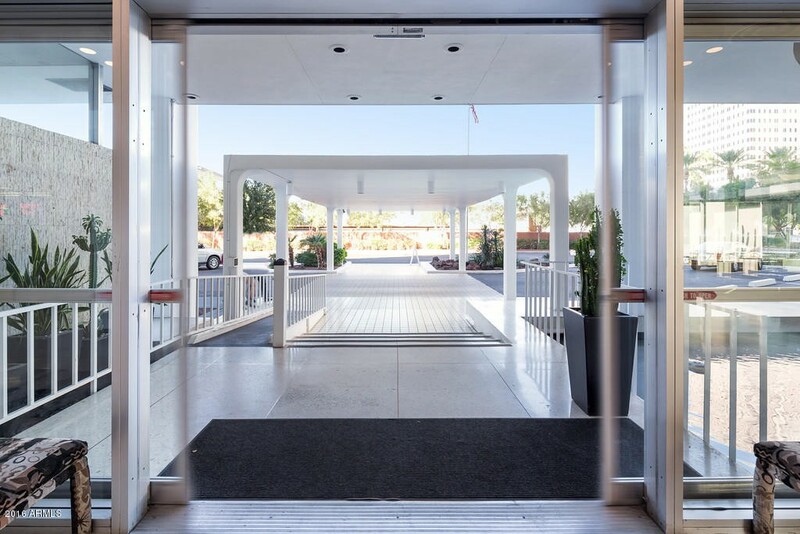 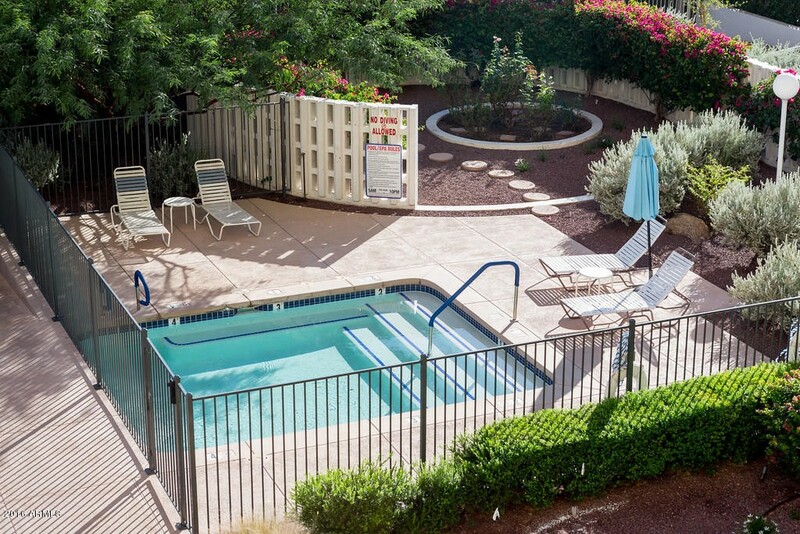 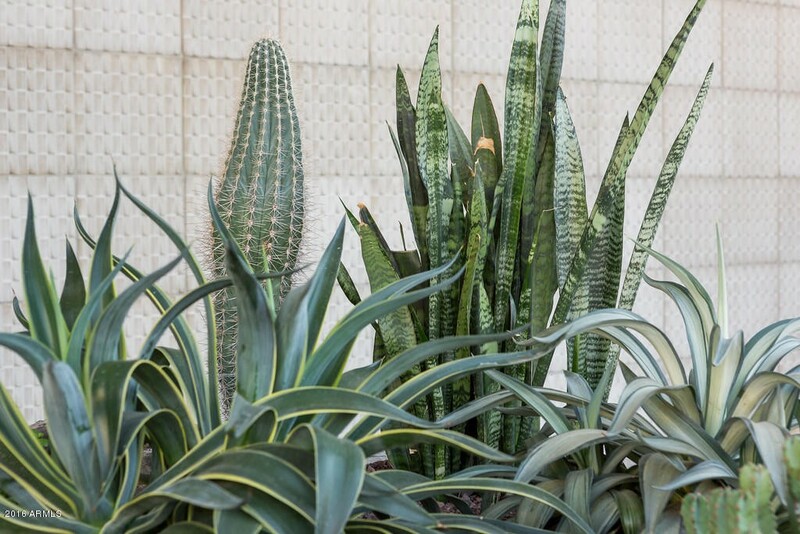 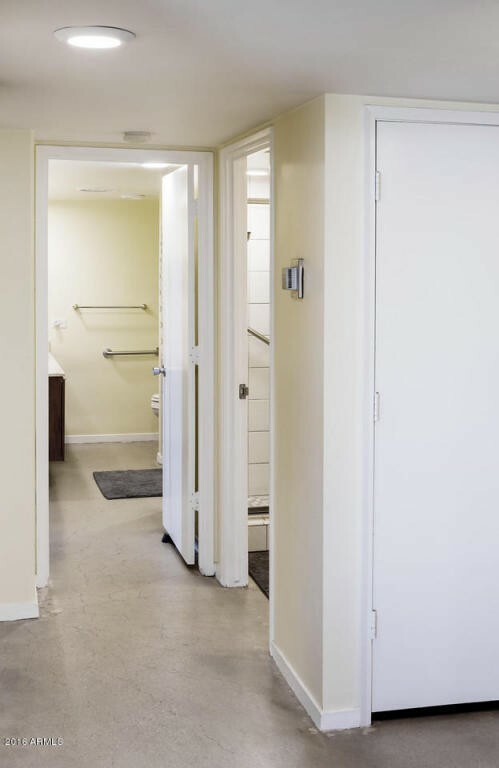 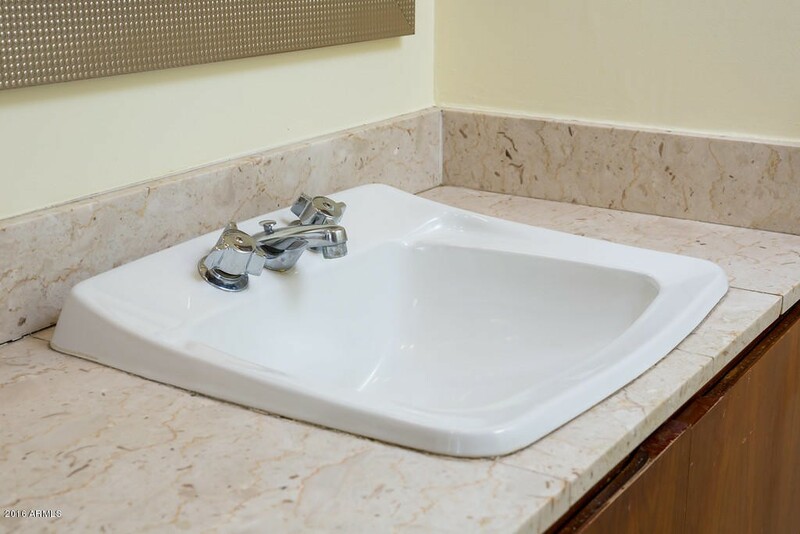 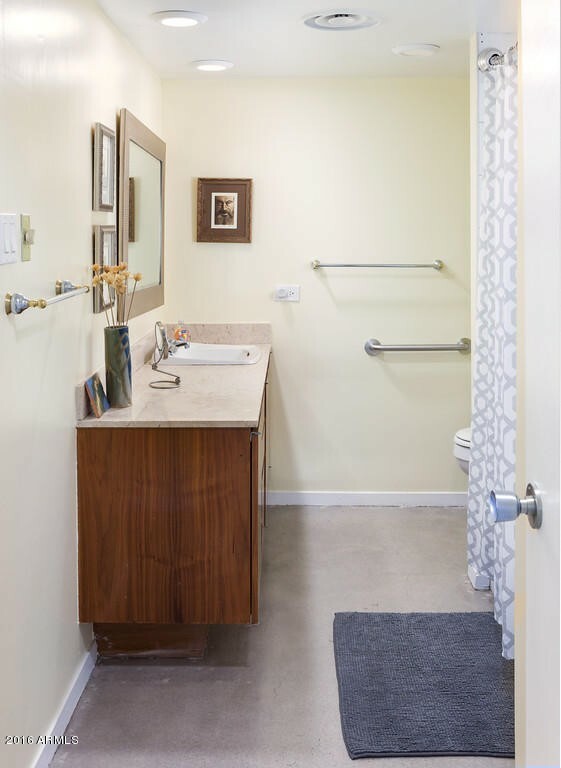 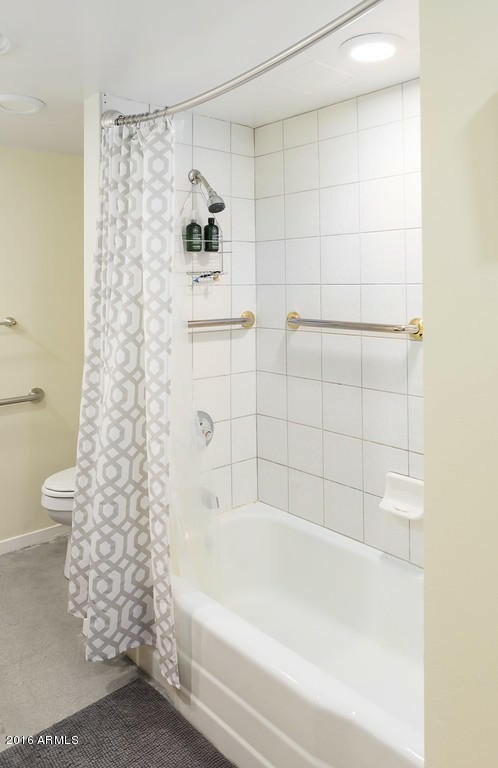 Monthly dues include 24-hour Front Desk Concierge Service, Heating and Cooling, Electricity, Water and Amenities such as a Large Pool, Hot Tub, Tennis Court, Fitness Room, BBQs and a Secure Parking Garage. 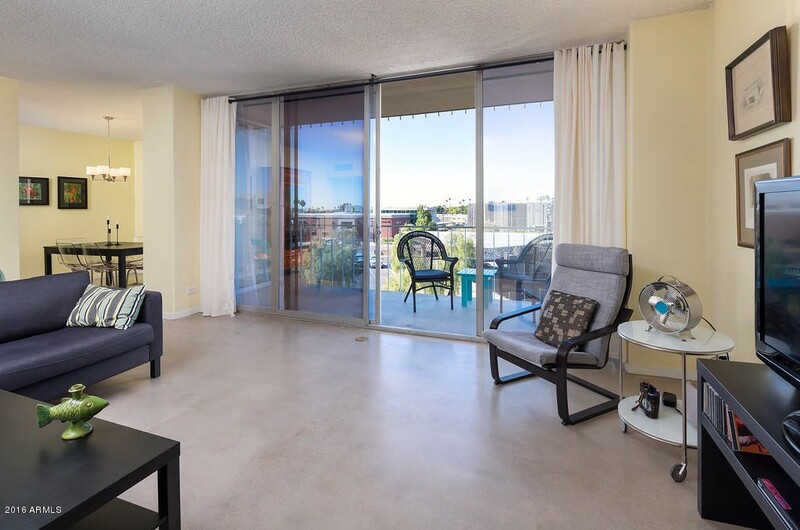 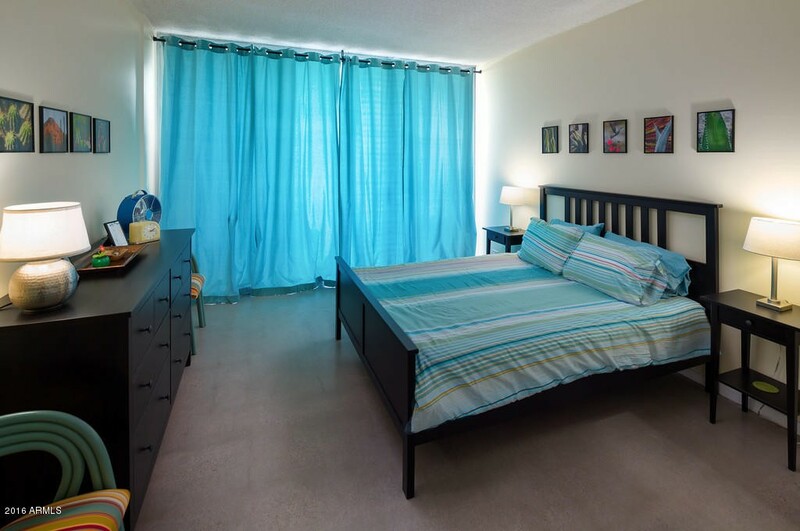 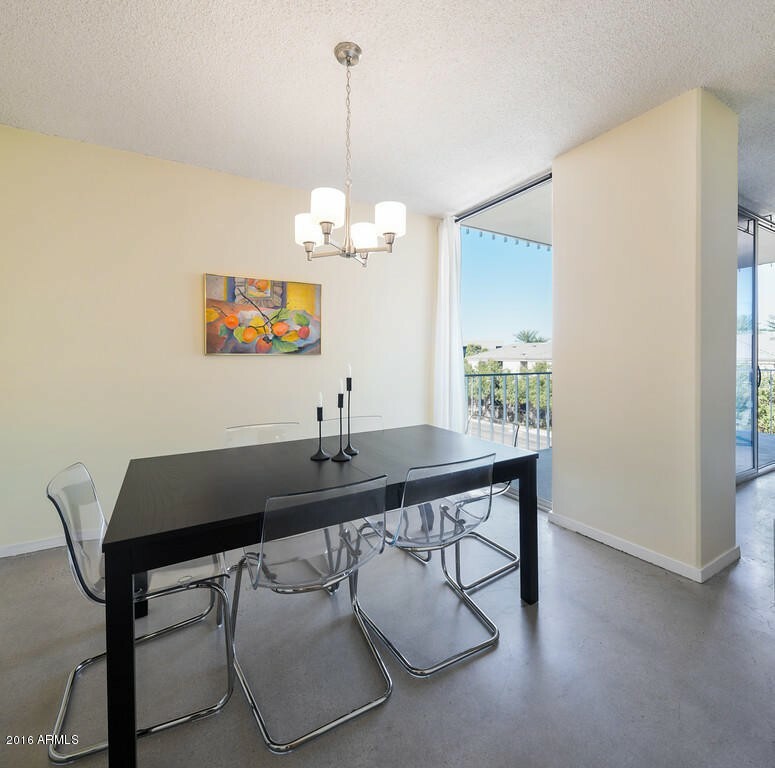 With this condo there are Floor-to-Ceiling Windows and Sliding Balcony Doors that provide lots of Natural Light along with Fantastic Views of the City Lights, Skyline, Mountains, Trees and so much more. 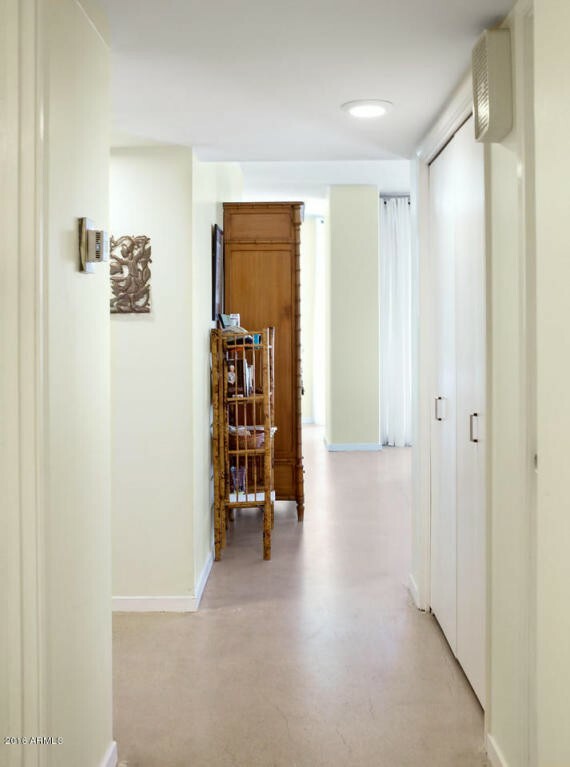 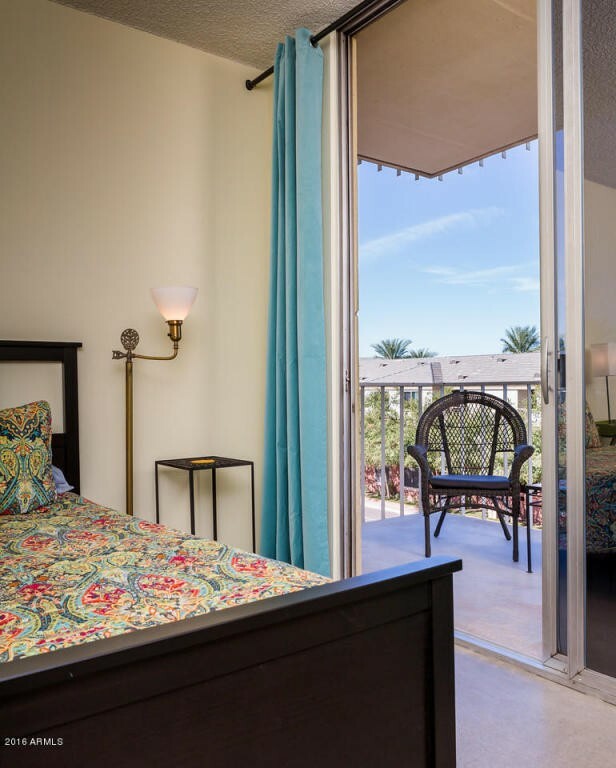 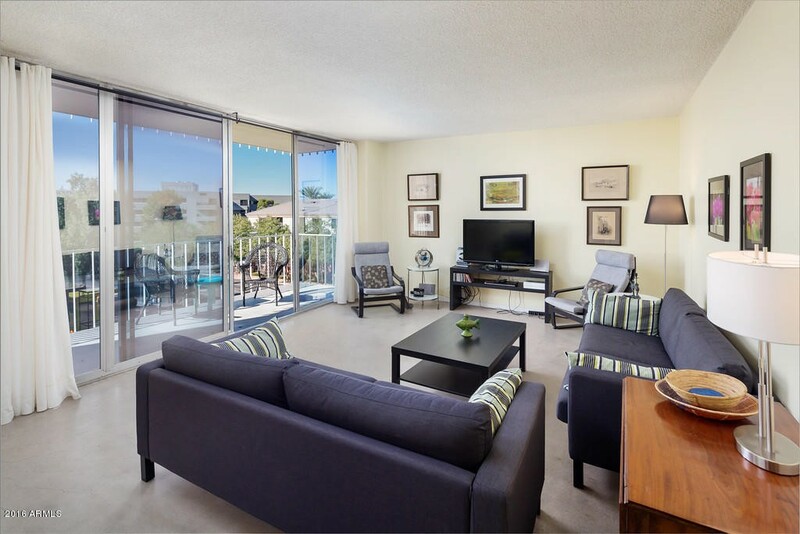 You will enjoy the Spacious Terrace just off of the Living Room and also the Private Terraces off of each Bedroom.